We walked the water to watch the sunrise at seven. The wind was calm and the surface of the water smooth. There were hundreds of birds out on the flats and flying just above the water. Then it was back to work. I sent the current version of “Big Creek” to Patricia, the editor, yesterday. I spent today updating my Big Creek blog. I was not able to do it while we were in Big Creek because I didn’t have an internet connection without a cell signal. Actually, I only posted my original logs for 2015. The other years have only the photos. That seems adequate to me. See Big Creek. The activity tracker is great for working. I get so involved in it that I forget to get up and take a break. The tracker buzzes my wrist periodically and tells me to move. It is easier to take more, shorter walks during the day than to walk all the miles at once. 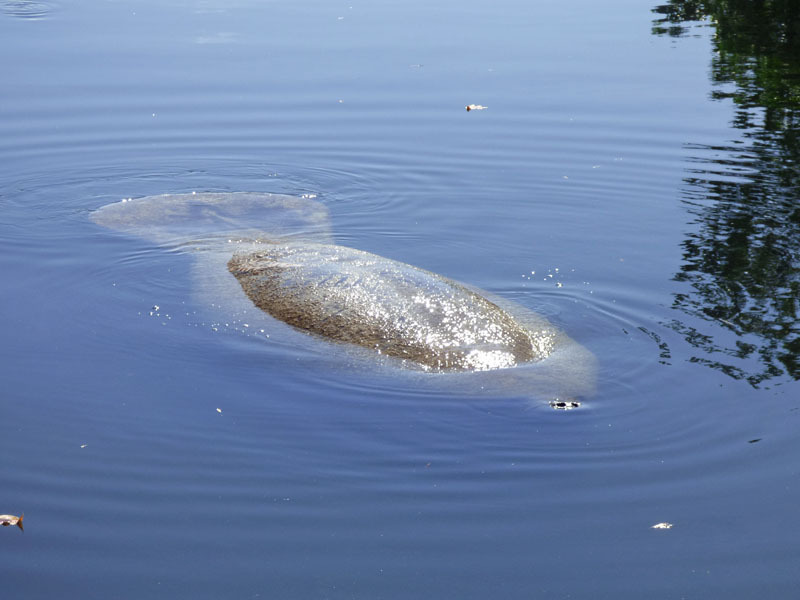 During one of those walks today, we spotted a manatee napping at the end of the canal. After a few minutes, the nostrils poked above the surface for a breath. This one was huge. 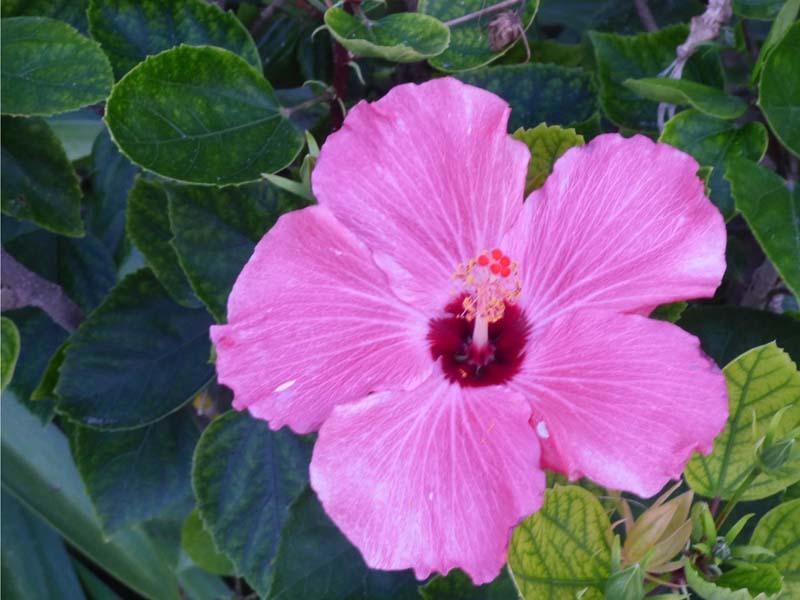 This hibiscus is at the front of a trailer here in the RV park. Great – I would have loved to have seen a manatee! 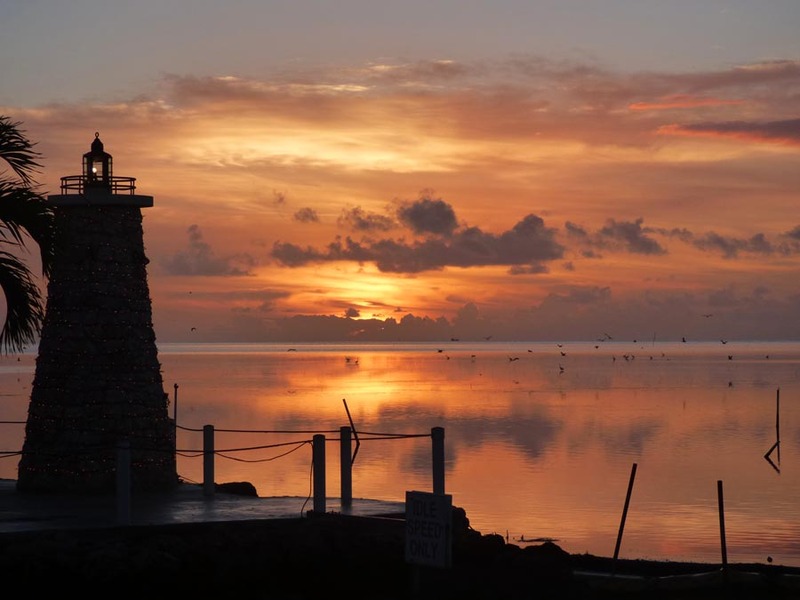 They are a fairly regular sight in the Florida keys, especially around piers where there might by a dripping water hose – they love fresh water. Thanks! Now I just hope to get the book done! Absolute a beautiful post, such amazing dream time photos. Thank you, and I am sure I will enjoy yours posts as well. Thanks! I’m glad you enjoyed it that much. Thank you. I have hundreds of thousands of them, if not millions. There have to be some winners in there! Agree. It’s always magic seeing animals and I often want to take pics of them to remember the moment. 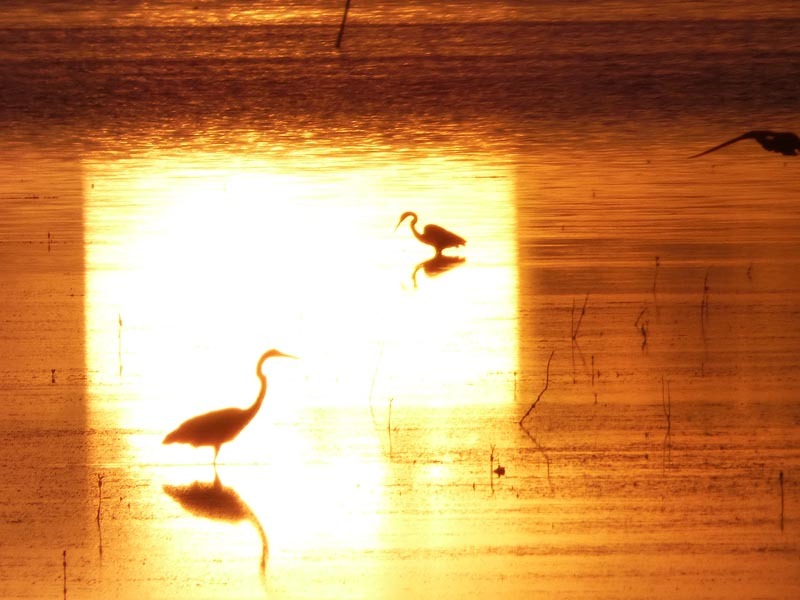 Stunning sunrise photos. The reflections on the water are beautiful. Congrats on getting your current version of Big Creek off for editing. Hope all goes well with that. I hope this means that she will get on the job and help me get this book DONE! Oh dear…that sound like a frustrated scream about to emerge. You’re obviously getting there, Dinata, and seem to have moved on a lot over the last few week. Congratulations on that … you deserve every praise for getting this far. Hope your editor does her ‘stuff’. Yes, I am a bit frustrated with the attention I’m not getting. She seems too busy and over committed. I expected to be much farther along by now. I wanted to have my books in hand before we return to Big Creek in May. 2016 is the 100th anniversary of our national park service, so there will be extra interest in the subject this year. That seems like the best time to sell my book. I can understand your exasperation. You’re right, the anniversary would be a perfect time for you to sell your books. Fingers crossed for you. Wow! Your photos are amazing! That manatee is huge! I love your blog! Thank you! I love to take pictures of things I notice so I will remember them.